I recently did an interview with an internal recruiter, Becky Carlson, who has worked for companies such as Amazon and Microsoft. She has a little bit of a different perspective than a Headhunter and provides pertinent information regarding interviewing and getting your resume prepared. About halfway through the interview we decided to go to an audio program so you can listen to the second half. Enjoy! 1. Tell me a little bit about what you do as a Recruiter? I am an in house recruiter. I work for an Internet company that I recruit for internally and partner with headhunters to find the right candidates. I choose to be an in house recruiter so I can have more skin in the game. Because I know the company culture, and I know the direction that they are going in, with a company that is ever changing, it helps me by being an in house recruiter. I know what type of candidates will succeed here and which candidates won’t. I am a partner with the company and a partner with the candidates, functioning as the middleman for both. I do the best I can to negotiate compensation for the candidate and for the company. 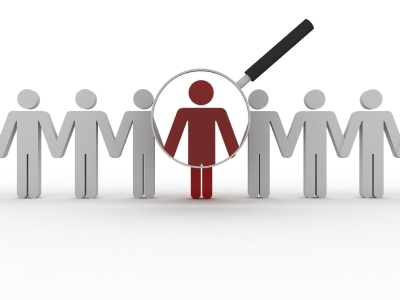 I partner with headhunters to find the right candidate for Director and above positions. Headhunters contact me with candidates from a posting, and ask if I would be interested in meeting with them. Headhunters get paid 35-50% of a person’s salary. So they typically work with candidates at a Director and above level or for Senior Managers. Senior Managers get around $130,000 so if a candidate was placed, they would get paid $35K for that placement. I am on a base salary, but from my perspective it’s also a more secure job. Even though I have experienced lay offs too. 2. What are the advantages of using a Recruiter for a company looking for job candidates? I am in house so people apply directly to me. I also network and go to job boards on monster.com, these types of candidates are passive candidates and LinkedIn candidates I reach out to are passive. The ones that come to me are active. Headhunters are also targeting really good candidates they think they can place at jobs. 3. What are the advantages that a candidate gets to experience by going through an internal recruiter? One thing is that the candidate is applying directly to the company and the first person that will review their resume is someone that works for the company, as compared to a headhunter or an Agency Recruiter who has been hired by the company to do the recruiting process for them. Some companies are very small or do not hire people that often, so they may rely on and 3rd party (a headhunter or and Agency) to conduct the recruiting process. A small company that does not hire that often may see the financial benefits to use an Agency and pay the Agency rather than hire an in-house Recruiter. If an agency finds someone for me we pay him or her 20-40% of the person’s salary. If someone is targeting a smaller start-up company, it’s best to apply with the internal recruiter or to find the Agency or Headhunter working with that company. Things have changed compared to how it used to be. From 2009-2011 a lot of agencies closed because the number of jobs decreased and Agencies make their money by placing people in jobs. There are some jobs that candidates will never get if they go through an agency because of the relationship companies have with Agencies. Many jobs are never posted on company websites, they are given to Agencies to work on and the only way a person would know about these jobs is to work with that Agency. As far as career advice goes, do both. Work with agencies and contact internal recruiters directly. Companies like Microsoft, Amazon, and Expedia only use agencies. So if you want a job within those companies then you need to be working with those agencies. I can only speak to my market. Certain agencies within Seattle have contracts with the larger companies such as Boeing, Microsoft, Amazon, and Expedia. There are vendor lists of preferred agencies for those companies. The way the candidate can find that out is to go to one of those agencies websites and look at the jobs listed, Volt (www.volt.com) is an example of and Agency in Seattle that works with Microsoft. They will list on their site that they are a certified vendor for Microsoft or for Amazon. They hire for all different types of positions such as Administrative Assistance, Directors, Software Engineers, etc. Not only for entry level jobs. The jobs given to Agencies to work on/recruit for won’t be posted on the Microsoft website, they will only be posted on the Agencies website and sometimes the name of the company will not be listed. They might use some verbiage such as “this position is located at a large software company.” The Agencies and Headhunters apply to companies like Microsoft to get on their preferred vendor list. As a vendor, if their stats show they are a good agency, they get a higher quantity of jobs and they can then provide a smaller bill rate. This then can keep them on the Vendor list. Candidates need to know that these jobs are only released to agencies or Headhunters, and that this is the only way they may get into some of these larger companies. When an opportunity becomes available it goes straight from the hiring Manager or internal recruiter to the agency. An internal recruiter then will manage the recruiting process for that job. The Recruiter will oversee the flow of the incoming candidates, schedule the interview, and manage interview process. When a company is hiring contract employees, there is a less perceived risk in agency candidates, they are seen as “try before they buy”, which can be good for both the company and the candidate. They are also known as contract or contract to hire positions, or an Agency may work on a direct placement. If you (the job seeker) end up trying out this type of contract to hire positions, ask what the percentage is that it will turn into a full time position. Usually the likelihood is 80-90%. Contract to hire positions are usually open ended. There is a full time head count behind them, so the candidate can usually slide into the full time position after a certain amount of time. 4. How can career coaches work in tandem with internal recruiters? When we are working with a client and helping them with their career, the candidate can be more active into the selling of themselves to the company. A career coach can help by building relationships with recruiters in their network. Career coaches can also help with finding out about jobs, the latest trends on resumes, how they should look, and how social networking is going to help recruiters in the future. Social networking can also hinder a candidate’s chance of getting a job, such as what they post on a Facebook page. Any information that is out there can be used. For those that are in this next generation coming up, what you post now can have a long lasting impact, especially if they want to change their image in the future. There is coaching on both sides with the client and managers. Coaching on topics such as how to interview better. Coaching candidates on what they should be asking is important. As a candidate, if you are in an interview with a CEO, be sure you are interviewing the CEO as much they are interviewing you. Candidates get scared because it can feel like they are in the spot light, and only think they are being interviewed. They also might know to ask questions of their interviewer, and when they get there in the interview, they get scared. When a candidate comes in and they don’t have any questions, it’s a red flag. On average 3-5 people are interviewed for a position. It’s important to ask questions, otherwise it looks like they aren’t interested or prepared, there is no way they have all the answers. Even if all of your questions are answered, make up a few more. For example, there is no way you can figure out all of the day-to-day functions. An example of a great question to ask is “what do I need to be successful in this job? A book I recommend reading is called “Sixty Seconds and You’re Hired” by Robin Ryan, who also wrote a book for those over the age of 40. These books are great quick references and written around technology companies, but cater to all types of companies since they have an extensive list of great questions. Why should I hire them? I have already looked at 15 resumes and they all look the same. What do you have that the other ones don’t, and what are you going to do for my company when you get here? There are two basic things: What sets you apart? What are you going to do for me when you get here? I am also looking for what groups you’ve lead, challenges you’ve experienced at a company, and what your personal stories are. Personal stories such as victim to victory stories, what have you done that others haven’t, stories to sell yourself. I want to hear you say things such as “I could reorganize your team”, “I would work on cutting your budget.” When I talk to candidates, they all might know the same coding language or have the same education. What makes you stand out are what the skills are that you gained from the past such as writing the best code, or how you can be a leader on the team. I was flying somewhere this weekend and grabbed a magazine out of the airplane. It had an article that talked about how recruiters spend 5-6 seconds on a resume. Candidates spend so much time on their resumes. Recruiters spend on average about 6 seconds on a Linked In profile. In the little time I spend scanning a candidate’s resume, we are looking for what companies they have worked at, languages they have coded in, and years of experience they have with them. Anything quickly that can set them apart. An example might be an Executive Assistant candidate, some challenge they had that they were able to overcome or fix, and maybe they were the sole person in a department. I am looking for basic information such as where they live and their name. I am the recruiter and the first door in the company, I don’t have time to get into all of the bullet points. Managers can do the digging, recruiters don’t. The information is important, what we don’t care about is how you paid someone $500 to write your resume for you, or that you spent 80 hours creating it. What you need to know about resumes: Graphics often don’t come through on an applicant tracking system; they may strip out the graphics. If a candidate lists a company and then also includes the logo or a graphic of the company, it may be stripped off the resumes then the space and format may not look at clean as what they thought they submitted. These are things people should not do to try to set themselves apart, especially those looking for Marketing and PR jobs. Be plain and simple and list links to websites etc. to show off their work and style. 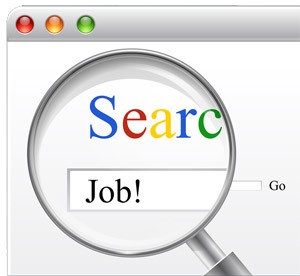 Always have your resume in a Word and PDF format, which can also depend on if a candidate is using a Mac or PC. Right now different software aren’t compatible enough, but it’s getting better. One example, a bullet point may translate into a music symbol. When submitting a resume to monster.com, a lot of candidates will submit a PDF and Word document, which makes a lot of sense. It is much prettier when downloaded as a PDF, sometimes formatting can get jumbled in a Word document. They better have a story behind it. It’s a personal preference. As a recruiter I will notice it and I’ll ask why. It will come up, so they better be prepared to talk about it. People can say that they had a family matter come up and that they had to take time off. Don’t tell me that your kids got sick or that you got divorced. Keep it simple. Maybe you got into a new job and they switched managers on you and it just didn‘t work out with that new manager. Be able to communicate a story but don’t get elaborate. I know during the interview process that candidates are on their best behavior, so if you provide negative info about a previous manger, then that appears to be your best behavior. It will just go down hill from there.